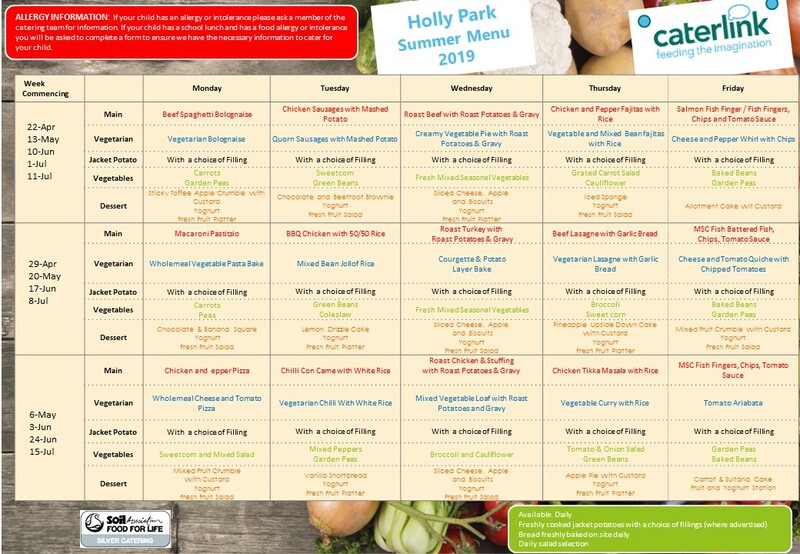 There are lots of people working at Holly Park but do you really know what they do all day? Here we have asked some of the staff at school to tell us about their average day. But we found that no one has an average day because every one is different! Read here about what goes on. What time do you get up in the morning? My alarm goes off at 6am and I get up straight away. I get myself ready, organise cover for staff who have phoned to say they will be absent and leave home between 7.10 and 7.20. What do you have for breakfast? I like to change what I have for breakfast as I get bored. But it’s usually cereal like Weetabix or muesli. Sometimes I have fruit and Greek yoghurt. How do you get to school? I drive to school. It takes me about 20 minutes. Describe what you do in a normal day? Each day varies so no day is ever the same. I always start with emptying the dishwasher that is in the Staff Room because I like things to be neat and tidy. I then make sure everything is organised for the day, such as making sure the hall is set up for class assemblies or parent workshops. If I am teaching that day, I get all the resources that I need ready. Otherwise, other jobs include: working with the School Council and the Rights Respecting Champions, I lead asssemblies, I meet with the Pastoral Team every week and I meet with parents. I spend time with Mrs Pelham discussing what we need to implement to improve the school, I observe lessons and look at children’s books. I discuss children’s attainment and progress with class teachers. I lead training for all staff including teachers, Teaching Assistants, Nursery Nurses and Meal Time Supervisors. I also go on lots of trips with children and organise and lead the Y6 School Journey. My favourite days are always when I work with children. My worst jobs are putting together all the timetables for the whole school. Where do you eat lunch? I eat lunch in the Staff Room during most days but if I am really busy, I eat in my office while I am working. Sometimes if I am on Lunch Duty, I eat in the Dining Hall with the children. What time do you start work and when do you finish? I get to school between 7.30 and 7.45 in the morning. I leave school at different times each day but on most days I leave at around 6pm. Quite often there are meetings in the evenings, such as Governors Meetings or PTA meetings and also shows and concerts so then I leave school between 8pm and even 10pm! Do you have to work in the evening or weekend? Yes. I always work at the weekends. I try not to work every evening although I do always check my emails and reply to those that are urgent. How long have you worked at Holly Park? I have worked at Holly Park for 15 years. When I started at Holly Park I was a teacher in the Nursery. I have also taught in Reception and Y1. I have been Deputy Head now for 4 years. What is the best thing about your job? The children and the staff. Holly Park feels like a family and it’s great because we all look out for one another and care about each other. Also, it is rare for a day to go by without someone making me laugh! What time do you get up in the morning? I get up at seven o’clock and go straight into the shower. When I come out I have to go and wake up my children and get them moving so they aren’t late for school. What do you have for breakfast? Usually I have Greek yogurt with sunflower seeds and honey, but sometimes I might go wild and have Alpen! How do you get to school? I drive, it takes me 15 – 20 minutes. Where do you eat lunch? I normally eat my lunch in the staff room as I have my lunch much later that everyone else so that I am around to deal with any first aid needed at lunchtime. What time do you start work and when do you finish? I start at 8.30 and finish at 4.30. Do you have to work in the evening or weekend? Not really no. But I do check my emails to make sure I haven’t missed anything! How long have you worked at Holly Park? 4 weeks! What is the best thing about your job? The children! How do you get to school? Walk but not very far! Describe what you do in a normal day? I unlock the school at 7:30am and open the individual buildings. I then bring the milk and fruit into the school and deliver it. If we have a workshop I’ll get the hall set up or make any repairs to areas like the toilets where it is hard to do so when the buildings are occupied by children. Once the children are in school and the parents have left I go and lock all the gates. The rest of the day is taken up with making repairs, cleaning up after children if they are ill, completing paperwork or organising works to ensure that the schools premises are compliant with all current health and safety legislation and dealing with any contractors on site which includes our gardeners and cleaning contractors. Dependant on the time of year I may also be writing specifications and obtaining quotes for summer works, contacting various providers to arrange site visits to quote for routine annual maintenance and meeting with Mrs Pelham to discuss works and quotes. During the school holidays I am usually working especially in the summer which is my busiest time. This is when I project manage any large building works going on and also the deep clean of the school. I also undertake larger repair works or projects that I can’t do during the normal school day like clearing gutters and drains or painting fences. I run the school football team who train every Monday and assist with the girls team which trains every Wednesday after school. Both teams play matches all over the east of the borough after school from October to April. Each year group from Year 1 up to Year 6 also has an individual half day football tournament which I take them to every year. Along with my day to day work I am also the Barnet East Primary School League Organiser which entails setting up all the league and cup competitions for all the schools in my area plus I run a borough wide cup competition for girl’s football. I am also the GMB Trade Union Representative and the School Support Staff Governor. What is the best thing about your job? There’s always something happening so the job is quite varied but the best thing about it is interacting with the children. It’s great to see children that you’ve worked with over time blossom and grow into young adults. What time do you get up in the morning? The alarm goes at 6.40am and I get out of bed at 7am. I shower, dress and eat my breakfast and am out the door for about 7.45am having encouraged my son to have his breakfast and get ready for school too. What do you have for breakfast? Every other day I have an egg. On the other days I have Weetabix or toast or Bran Flakes. I always have a cup of tea. At the weekend I might have croissant, an egg or even pancakes if my husband wants to make them!!! How do you get to school? I drive to school. It only takes me about 10 minutes. Describe what you do in a normal day? Every day is very different – no day is the same. I do a variety of activities across a week– meet parents, speak to children, observe teaching, look in books, lead assembly, do parent tours, run parent coffee mornings, attend parent workshops, talk to governors, send e-mails, write letters, write and check school policies, visit the staffroom, show new and prospective parents around, send information for the website, make phone calls, attend meetings, go on courses, learning council, talk to children about the good work they have done, sort out problems, look at school data, put together files of information, talk to teachers, write the newsletter, visit other schools, talk to other Headteachers, lead meetings, make plans for the future, make decisions, walk around the school. Where do you eat lunch? I generally eat lunch in my office although sometimes I eat it in the staff room and sometimes in the dining hall with the children – particularly when I have the Golden table once a week. What time do you start work and when do you finish? I am always at work for 8am. On a normal day I will leave work at 6pm. On a Wednesday and Monday I often have governor meetings, PTA meetings or meetings for parents so may not get home until 8.30pm or even later. Do you have to work in the evening or weekend? Oh yes. I am often working in the evenings, weekends and holidays. Staff and parents have known me to reply to or send e-mails up to midnight! How long have you worked at Holly Park? I began work at Holly Park in Sept 1990 as a newly qualified teacher. I have been key leader for many subjects – particularly assessment. I was KS2 phase leader, Assistant Head, Deputy Head and now Headteacher. In my time at the school I have worked for 5 different Heads before becoming head myself. What is the best thing about your job? Working with children and helping to make sure that their education is the best it can be. Always looking for new ideas to improve things.